We are the inventors of Scientific Extrusion. 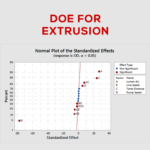 We are the first company to develop a data-driven systematic approach based on scientific principles that enable extrusion manufactures to produce high quality product consistently and effectively every time regardless of resin molecular weight variation. Let us show you how to implement consistency into your process.